If the measure of a songwriter is the number of artists singing their songs – then Kieran Halpin must be considered a great modern writer of songs. 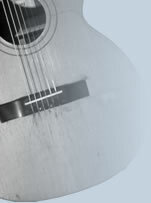 There can be few writers on the acoustic/folk scene in Europe today who have had more songs covered. Names like Ilse De Lange (All The Answers), Vin Garbutt, Dolores Keane, The Battlefield Band, John Wright, Flossie, Niamh Parsons, Chris Jones and countless more have recorded his songs. In fact his songs can be heard in folk clubs, pubs and festivals all over the world sung by the famous and not so famous. Often the songs are better known than the writer himself! Some have been translated into German, Finnish and Spanish! He has recorded albums in his native Ireland, Scotland, London, Nashville, Oxford and Sydney. To date Halpin has released 22 CD’s, and 3 songbooks with 137 published in all 3!! It is a remarkable achievement for any artist to be so prolific and still maintain such high standards. 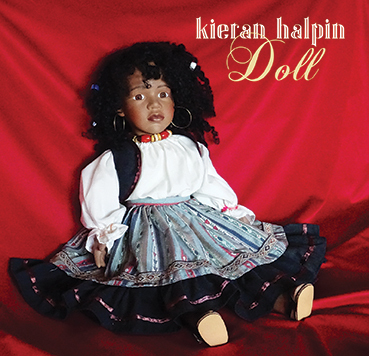 2017 sees the release of Halpin’s latest CD – Doll. It contains 11 new songs and was recorded and produced by legendary German producer Manfred Leuchter. Also featured are Manfred on accordion and piano, Yogi Jockusch on percussion, Antoine Puetz on bass and Ian Melrose on guitar and dobro. Halpin’s songs cover every conceivable subject from love, loss and celebration, to the more global concerns that face all of us today and is often described as a modern protest song writer. He is never afraid to tackle topics that will provoke opinion and debate. If you are a fan of lyrics – then this concert is for you. But whilst his albums are always something to look forward to it is live on stage where Halpin makes his mark. He is at once powerful and passionate, intimate and intense. He has managed to marry his intelligent and thought provoking lyrics with great melodies and has developed over the years into a writer with a unique style. All this is underscored by an incisive wit in his introductions which helps an audience understand where the song comes from and hint at where it might be going. Halpin is equally at home playing to a small folk club audience and a large festival crowd. He is also one of the hardest touring musicians on the scene today with upwards of 160 shows per year all over the world.